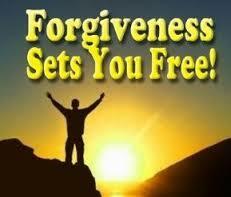 Forgiving the one who caused you harm may seem like the last thing you would want to do. After all, by not forgiving, you can hold onto the belief that you have some power over the perpetrator and that you can therefore prevent the harm from ever happening to you again. Or you may be so invested in playing the role of victim that to forgive would mean giving up a large part of how you define yourself. You may feel that evil should never be forgiven. An important point to keep in mind, however, is that when you forgive, you are doing it for yourself, not for the other person. Forgiving is one way of letting go of old baggage so that you can move on with your life. Forgiveness does not change the past – but it does change what you can have in the future. There are no deadlines for choosing the option of forgiveness. Forgiving is a highly personal act, and it will not happen until you are ready to let go of the old hurt and move on in your life with a sense of personal empowerment. Premature forgiveness is not really forgiveness at all. You must prepare for it, and this requires a deep look into your life. Above all, it is a choice – and some people may choose not to forgive at all. This is a personal decision with important ramifications.